As a composer, I really appreciate this question. Composers are, after all, a mystical and unpredictable breed, hiding in the shadows of long-distance post-production, shrouded in mystery and legend. So what can a filmmaker do to help his composer from the very beginning of a project? 1. Budget for music. Jesus asked who would start a construction project without seeing if they had the resources to complete it; the implied answer is “nobody!” Filmmakers generally follow this advice- what will the catering cost? How many locations will we need to pay for? What equipment will we need to rent? It’s important to make the same provisions for music. Even if you don’t have a composer in mind for your project, contact a few just to see what the general going rate is, and plan for enough music budget to hire a composer fit for your project. I can’t tell you how much of a blessing it is to work with someone who understands that composition is work and that “the laborer is worthy of his hire;” someone who wants to pay their people well. That’s a different paradigm than “how little will you accept for this project?”- and your composer (and anyone else on your filmmaking team) will thank you for taking that approach. Most composers would happily compose for the rest of their lives for free, except that it’s hard to eat music. 2. Clarify the legal stuff. The sooner you can nail down the legalities of the project, the sooner you can move on to the music! 3. Work with the composer to solidify the soundscape that colors the world of your story. One of the most important parts of the soundtrack-creation process is figuring out what a movie sounds like. Is this a Hans-Zimmer-Inception score or a John-Williams-E.T. score? Big brass stabs or gentle piano ostinatos? Synthesizers or soloists? Ethnic instruments? Vocals? Spending a few Skype sessions (and the ideal in-person spotting session) making sure you and your composer are on the same page will save both of you a lot of time and headaches in the future. Having a list of famous scores you like that have the right feel for your movie, some basic thoughts on what it is that you like about those particular scores, and a little collection of emotional terms that describe your movie, your story, and the music it needs will help a lot in these discussions. 4. Give your composer time. While you probably can’t mail your composer a box of this valuable resource, you can help them immensely by giving them advance warning of a project coming down the pipeline in their direction. By contacting them in the early stages of your project, you provide them with a chance to plan their schedule ahead of time, to begin formulating ideas before those ideas are facing a deadline, and to be involved in the creative process of your film. 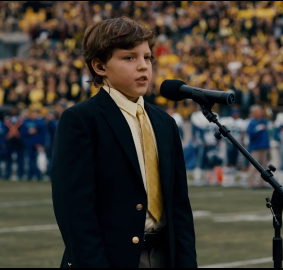 That scene in The Dark Knight Rises where the little boy sings the national anthem (as opposed to some big-name A-list singer)- that was Hans Zimmer’s idea. Give your composer a chance to really become a part of your filmmaking team, and his involvement with your story will be that much deeper and more intimate. That, in turn, may well shine through in the music. 5. Be careful with your musical affections. Don’t fall in love with a piece of music unless there’s a chance you can actually marry it to your film. Remember, the composer’s job is to make your film better than it was before by contributing music that tells your story. His job is to master the language of music, and you are hiring him to lend that expertise in the telling of your story. If you fall in love with a temp-track (“this piece from Newman’s Cinderella Man score just works so perfectly here!”) or with an idea (“I want the music for this film to use lots of trombones and no piano”), you might end up tying the composer’s hands and preventing him from doing his job well. It’s your movie, so you are the boss; the composer’s creativity will be as free as you allow it to be. If you encourage him to share his thoughts, to experiment, if you let him make the call where you aren’t sure whether your way or his way is better, you will build trust; he will know that you genuinely appreciate his abilities as a composer, and when the time comes for you to put your foot down (“sorry, I really just don’t like that kazoo solo in the middle of the battle scene”) your composer will know it’s not because you don’t care what he thinks. – What is your music budget? – When do you need the music to be done by? – When will a locked cut of the movie be ready? – What is the general style that you’re envisioning for this soundtrack? 7. Be there to provide feedback. This is important throughout the whole filmmaking process, but at the beginning, those initial sketches and questions are setting the tone for the entire score to follow. If you are involved, interested, and careful in giving your thoughts, encouragements, critiques and questions in a timely manner to your composer, you will help him settle comfortably into the musical world of your film that much sooner. 8. Be clear about your level of commitment. Are you just asking around and getting quotes from some composers? Is this project one that you’re still praying through, and your just doing your research? 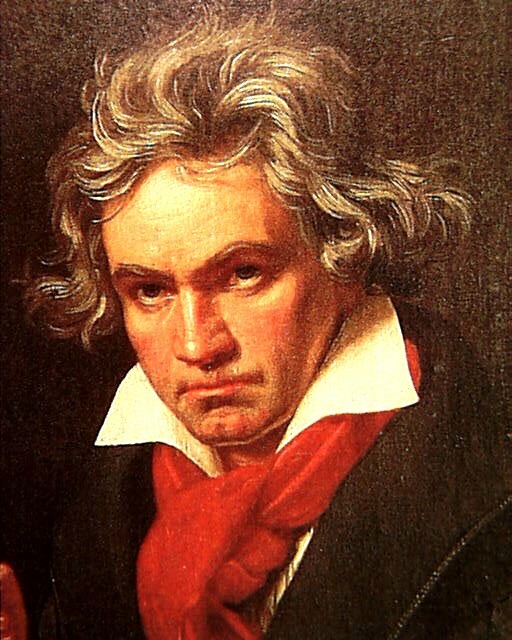 Or are you confident that this is the composer you want working on your project? So much of this has to do simply with communication. That’s one of the things I love about filmmaking; it’s such a collaborative art. Really, it all boils down to the first and second great commandments; if you approach your composer with love, humility, openness, excitement about your project and a desire to glorify God, you could break every rule above and still make your composer happy. This entry was posted in To Filmmakers and tagged Collaborative Process, For Filmmakers, Tips. Bookmark the permalink. This would certainly make me happy. Excellent thoughts as always, sir.